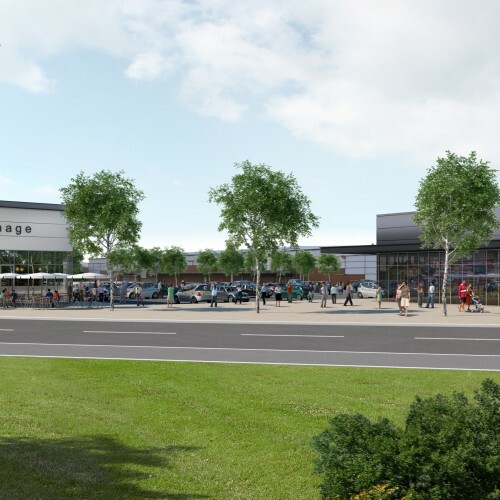 Aldi has expanded its footprint in Lancashire with the opening of a new site on Queen’s Retail Park in Preston. The 18,557 sq ft store was officially opened by Olympic cyclist Phillip Hindes MBE as part of the supermarket chain’s ongoing partnership with Team GB. The shop features a mix of black and white cladding, ground-floor glazing and a covered walkway with overhead LED lighting, along with a 473-space car park. Neil Dermott, Cassidy + Ashton’s Associate Director, said of the project: “The rise of the so-called ‘discount’ supermarkets in the UK over the past five years has been phenomenal and we are delighted to be playing such an active role in supporting that growth with the design of stores like this one in Preston. Aldi’s business model is built on the concept of quality without unnecessary costs. Leeds-based building firm Castle House was the main contractor on the scheme.